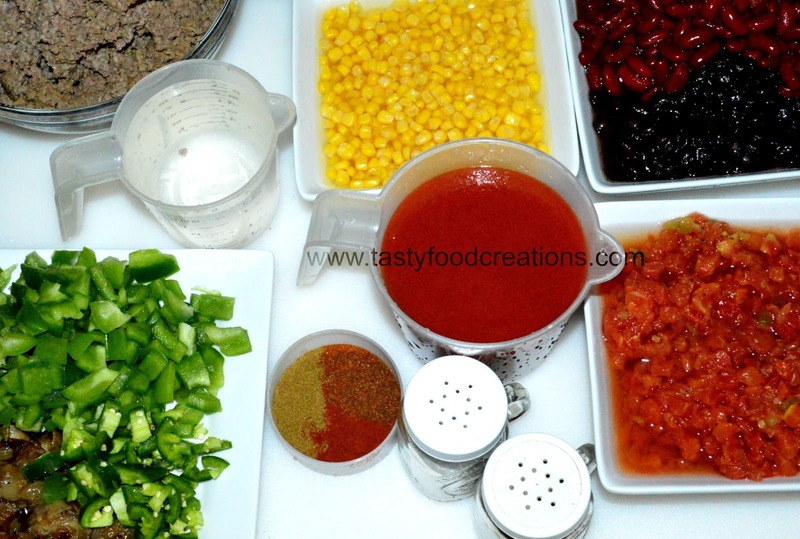 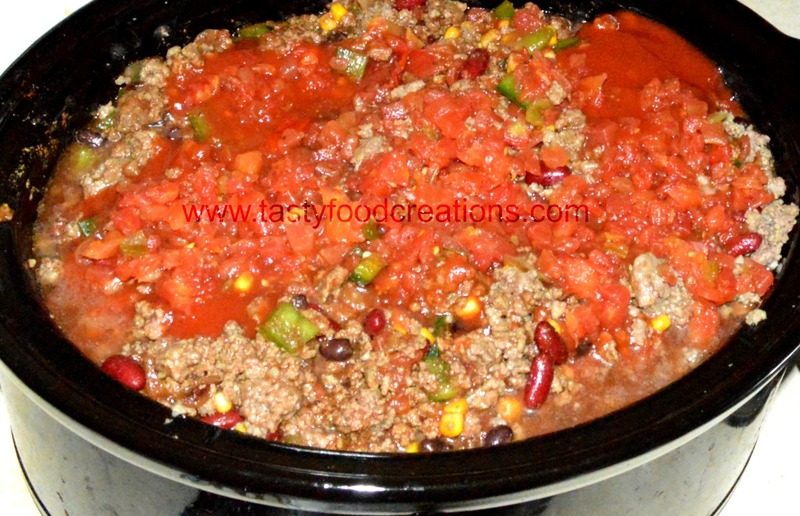 place the beef in a slow cooker, and mix in onion, green bell pepper, jalapeno, tomato sauce, Mexican-style tomatoes, kidney beans, black beans and corn. 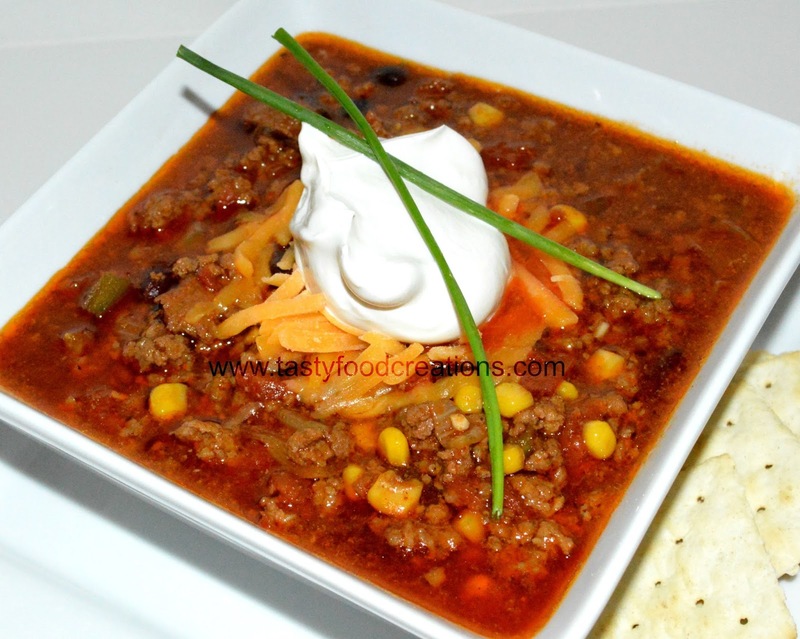 Season with chili powder, smoked paprika, cayenne pepper, cumin, salt and black pepper. Finally pour over the water. 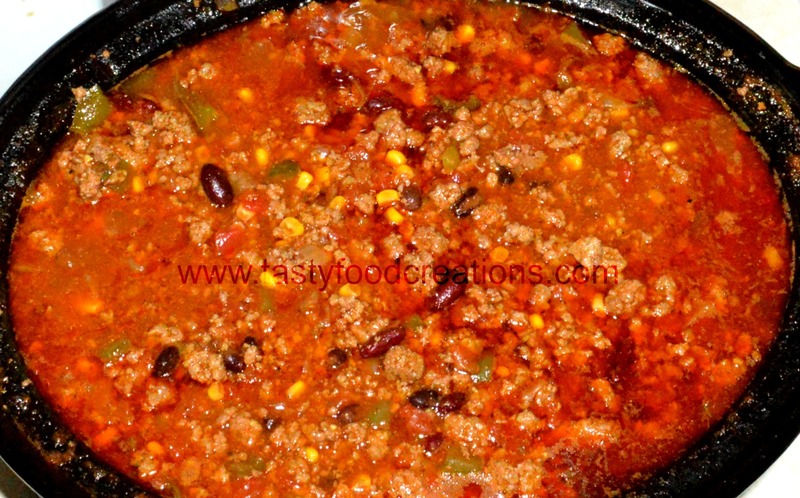 After chili is cooked mix well. 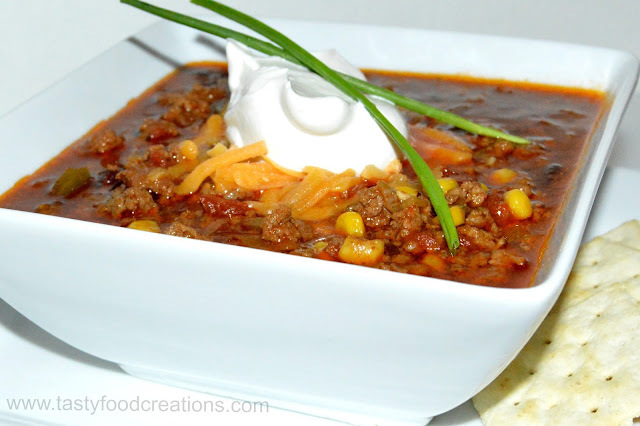 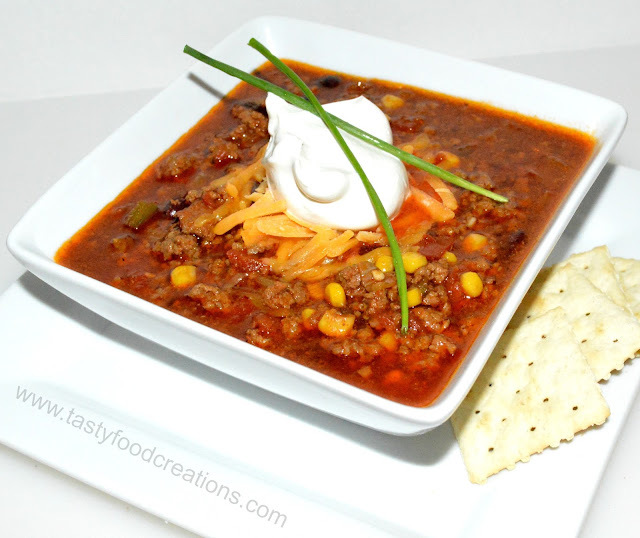 Top chili with shredded cheese, sour cream and green onion or chives. 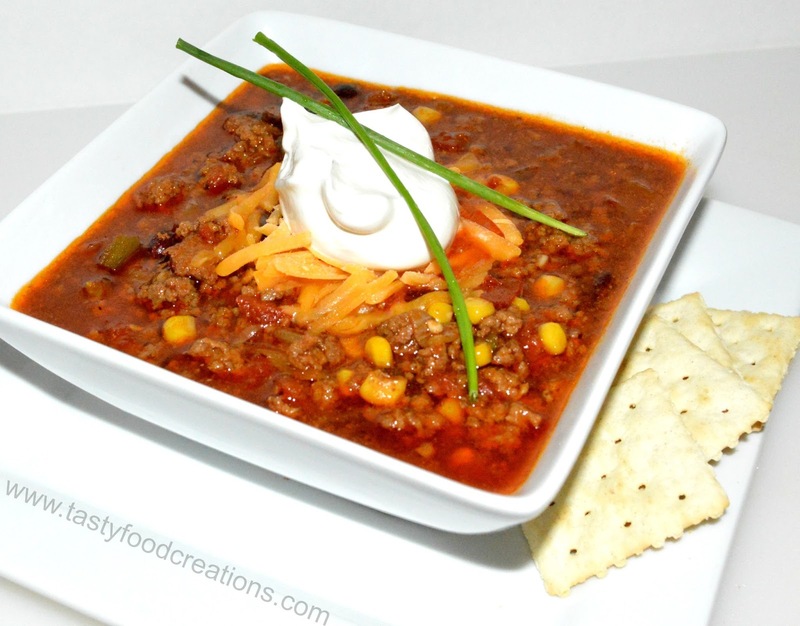 Serve with saltine crackers or toasted piece of bread. You can use this chili in baked potato, Frito chili pie, hot dogs, and/or burgers.